Shopping for a mortgage? We'd be thrilled to talk about our many mortgage solutions! Call us at 4357556622. Ready to begin? Apply Now. Many people who are looking to purchase a new home can easily qualify for various loan programs, but they can't afford a large down payment. Do you want to buy a new house, but don't know how to get together a down payment? Cut expenses and save. Scrutinize your budget to discover ways you can cut expenses to go toward your down payment. Also, you can look into bank programs in which some of your take-home pay is automatically placed into savings each pay period. Some practical strategies to build up funds include moving into a residence that is less expensive, and skipping your family vacation for a year or two. Work a second job and sell items you don't need. Perhaps you can get a second job to get your down payment money. You can also get serious about the possessions you actually need and the items you can sell. Multiple small things may add up to a fair amount at a garage or tag sale. Also, you can look into selling any investments you own. Borrow from retirement funds. Research the details for your individual plan. Some people get down payment money from withdrawing from their IRAs or borrowing from 401(k) plans. 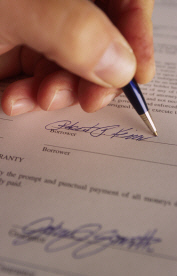 Be sure you comprehend the tax consequences, repayment terms, and early withdrawal penalties. Ask for a generous gift from family. First-time homebuyers sometimes get help with their down payment help from thoughtful family members who may be eager to help them get into their first home. Your family members may be pleased at the chance to help you reach the milestone of owning your first home. Learn about housing finance agencies. Provisional mortgage loan programs are given to buyers in specific situations, like low income homebuyers or people planning to improve homes in a targeted neighborhood, among others. Working with this type of agency, you can be given a below market interest rate, down payment assistance and other incentives. Housing finance agencies can help eligible buyers with a reduced interest rate, help with your down payment, and provide other advantages. These non-profit programs to promote home ownership in certain neighborhoods.  The Federal Housing Administration (FHA), a part of the U.S. Department of Housing and Urban Development (HUD), plays an important part in assisting low and moderate-income individuals qualify for mortgage loans.  An office of the U.S. Department of Housing and Urban Development(HUD), FHA (Federal Housing Administration) aids individuals who wish to qualify for mortgage loans. FHA helps first-time buyers and others who would not be able to qualify for a typical loan on their own, by offering mortgage insurance to private lenders. Interest rates with an FHA loan usually feature the market interest rate, but the down payment requirements with an FHA loan are lower than those of conventional loans. The required down payment can go as low as 3 percent while the closing costs may be covered by the mortgage. With a guarantee from the Department of Veterans Affairs, a VA loan qualifies veterans and service people. This particular loan does not require a down payment, has limited closing costs, and offers a competitive interest rate. While it's true that the loans are not actually issued by the VA, the office verifies borrowers by providing eligibility certificates. You may finance a down payment through a second mortgage that closes along with the first. Generally the piggyback loan takes care of 10 percent of the home's amount, while the first mortgage finances 80 percent. The borrower pays the remaining 10%, instead of putting the typical 20% down payment. In a "carry back" agreement, the seller commits to lend you part of his home equity to assist you with your down payment funds. You would finance the majority of the purchase price with a traditional mortgage lending institution and finance the remainder with the seller. Usually this form of second mortgage will have higher interest. The feeling of accomplishment will be the same, no matter how you manage to get together the down payment. Your brand new home will be your reward! Need to talk about down payment options? Call us: 4357556622.